TWO FRIENDRAISERS IN ONE DAY MEANS DOUBLE OPPORTUNITY TO CONTRIBUTE TO OUR SCHOOL! 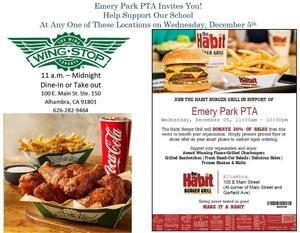 PTA is hosting two friendraisers on the same day, Wingstop (11am to Midnight) and The Habit (11am to 10:30pm)!! We look forwarding to you joining us at either one of these restaurants or both! 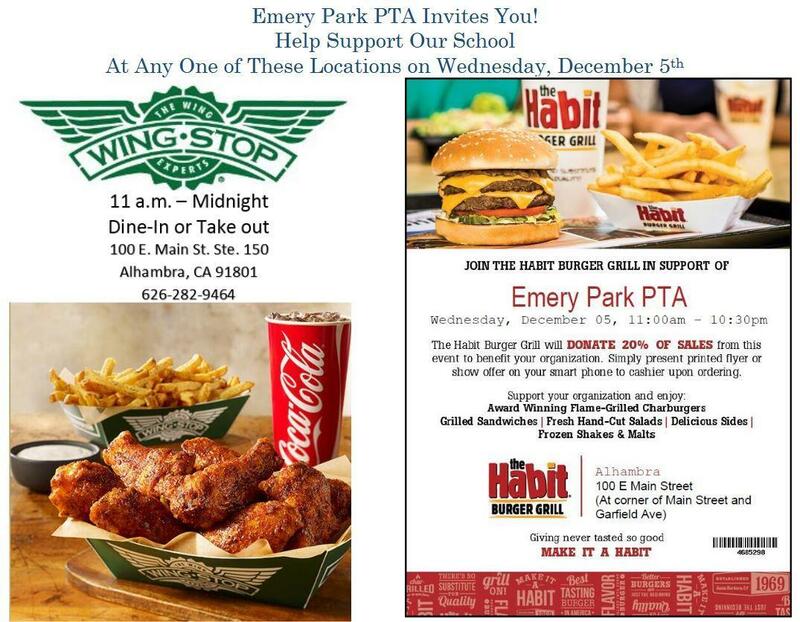 Double the fun, double your food choices, and double the opportunity to dine out while giving back to the school. Thank you for your support!